We’re big believers in the power of pets in improving the quality of a workplace. Other than keeping us fit by asking for lunch time walks, our office dog Grungle helps us get through the day in all sorts of ways he doesn’t realise. 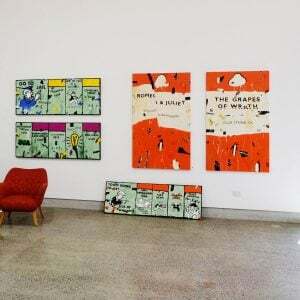 Bluethumb’s own art dog Grungle loves an original artwork! 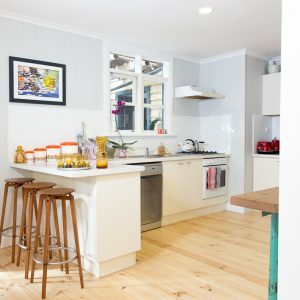 Allowing pets in the workplace has long been seen as key employee benefit, as well as an amusement (depending on whether you’re an animal lover). 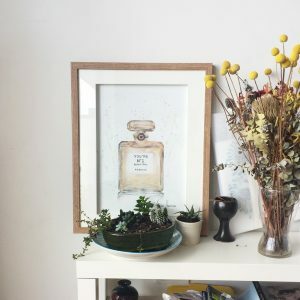 But for some employers, an open door policy toward pets–particularly, man’s best friend–has a raft of other business-enhancing benefits, which includes improved morale, reduced employee absenteeism and stress-related ailments like heart disease and diabetes. In a 2012 study, employees who were around dogs in the workplace reported feeling less stressed than employees who have dogs but left them at home, according to researchers from Virginia Commonwealth University. The study also found that pets triggered workplace interactions that would not normally take place. 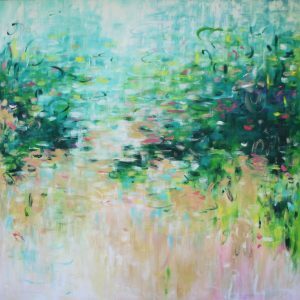 The Centers for Disease Control and Prevention also cited similar stress-reducing benefits. 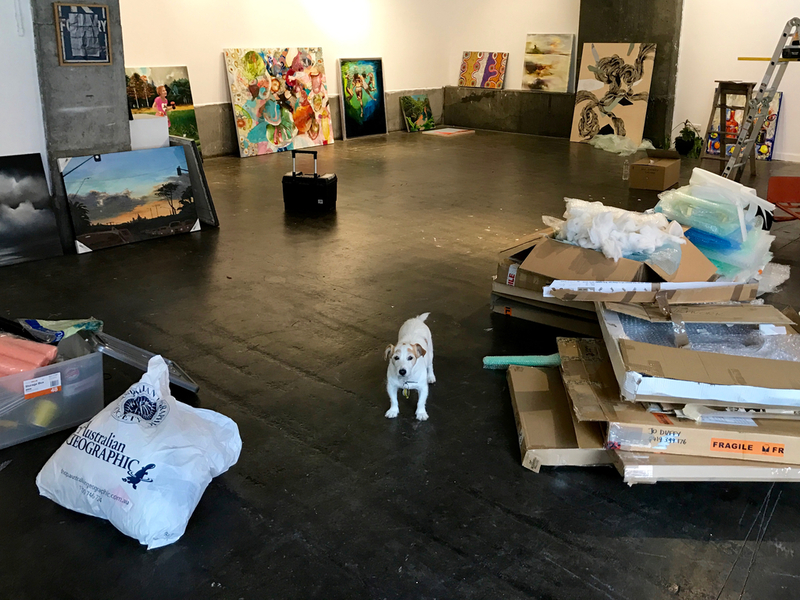 Artists have always been ahead of the times, so it’s no surprise they’ve had dogs hanging around their studios for centuries. 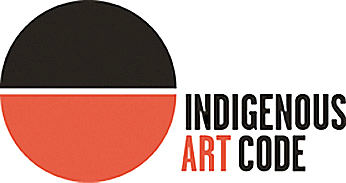 The presence of these art dogs keeps sensitive artists happy and healthy, and often inspires great works. 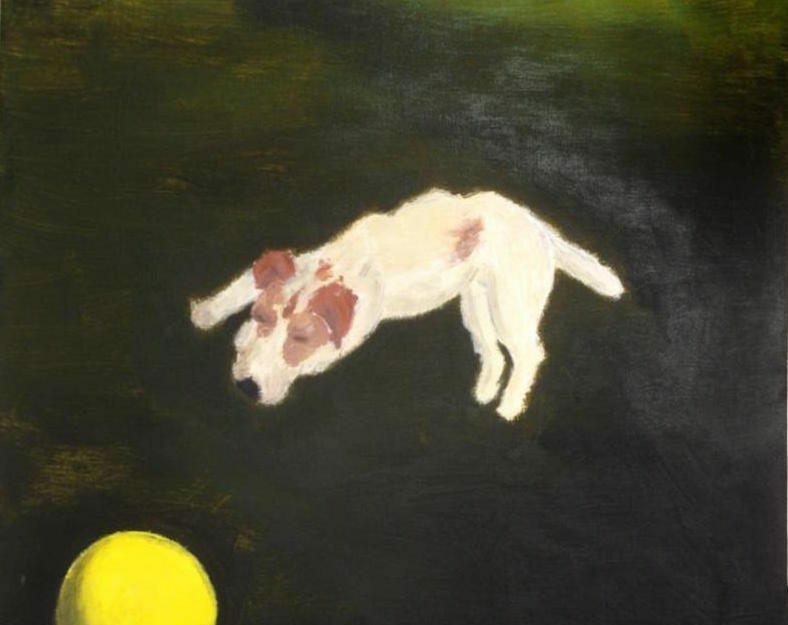 Below are some of the most famous artists from history sitting with their beloved pooches and the resulting artworks. 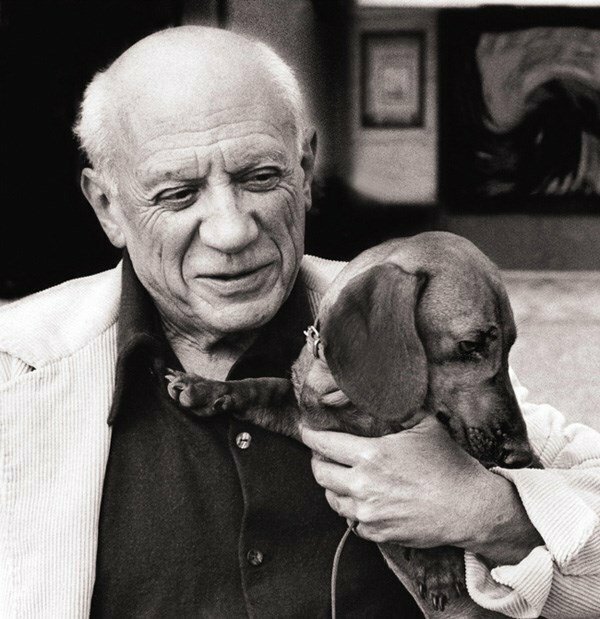 Picasso with his Dachsund Lump. 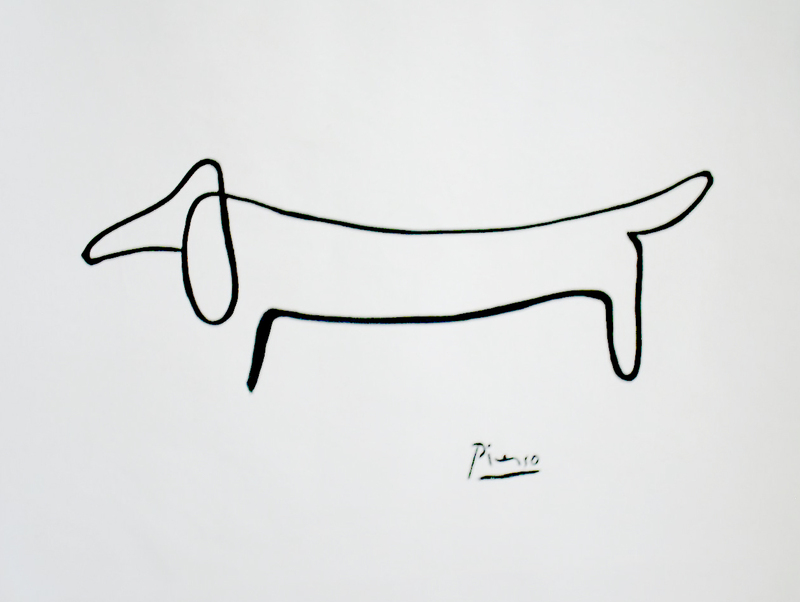 Le Chien (The Dog) by Pablo Picasso. 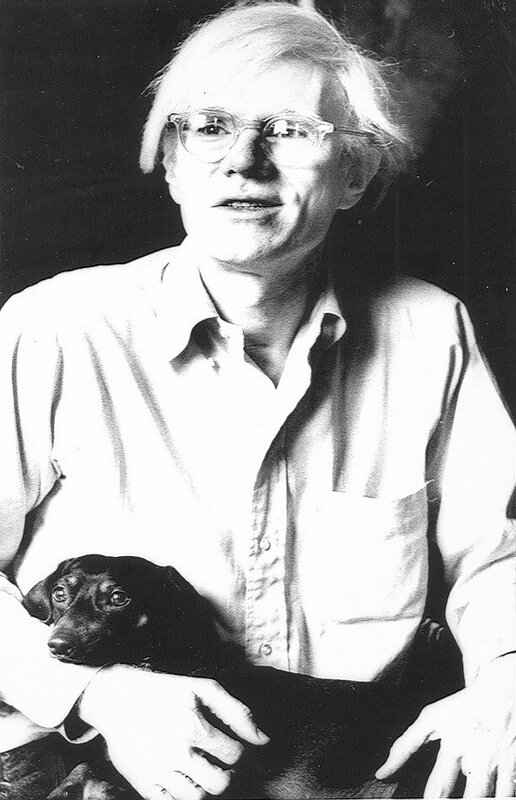 Andy Warhol and his dachshund, Archie. 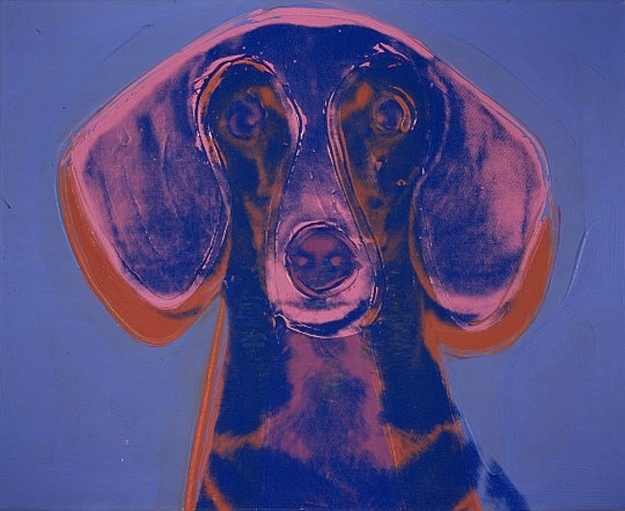 Dachshund print by Andy Warhol. 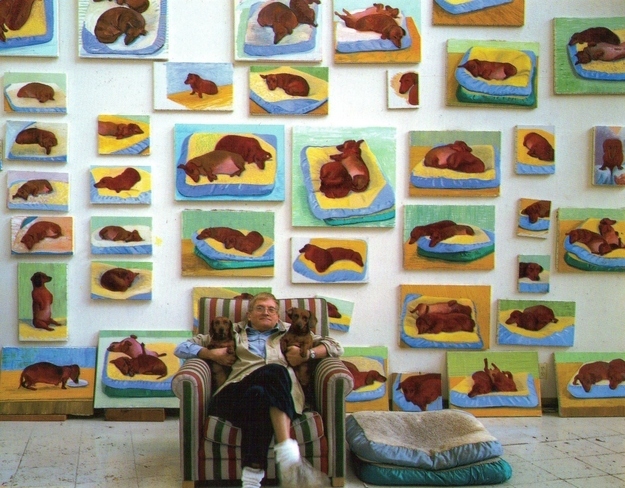 David Hockney with his Dachshunds Stanley and Boodge. 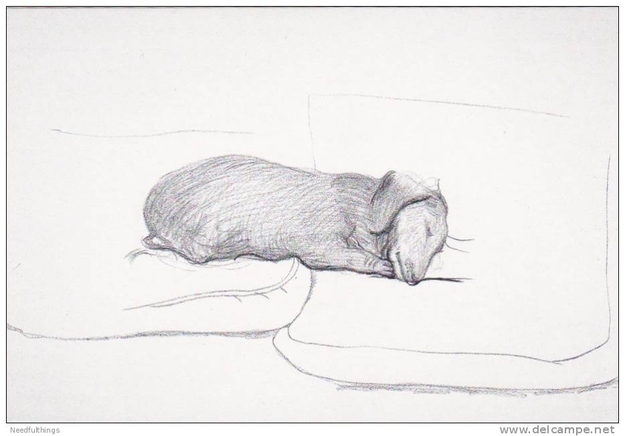 Hockney sketch of a dachshund. 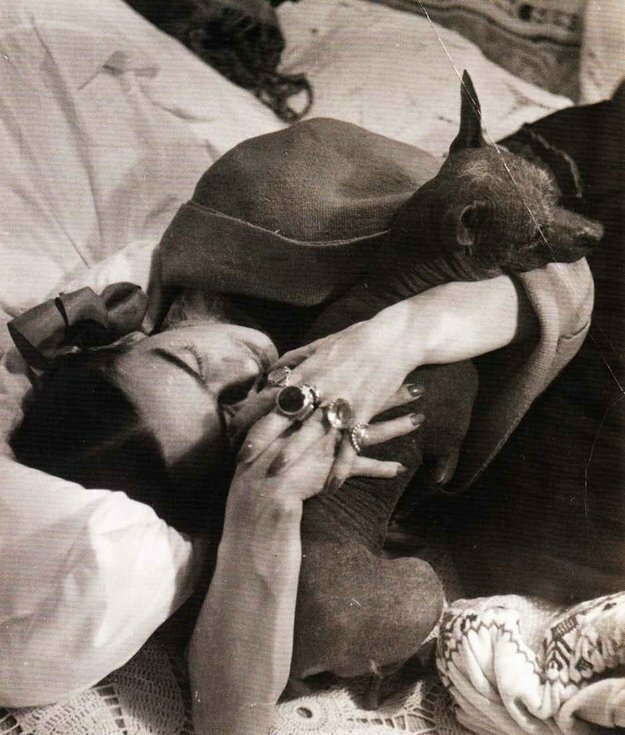 Frida Kahlo with one of her xoloitzcuintli dogs. 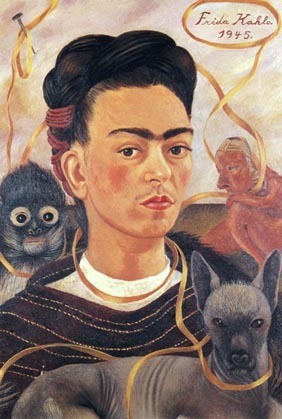 Self Portrait with Small Monkey by Frida Kahlo. 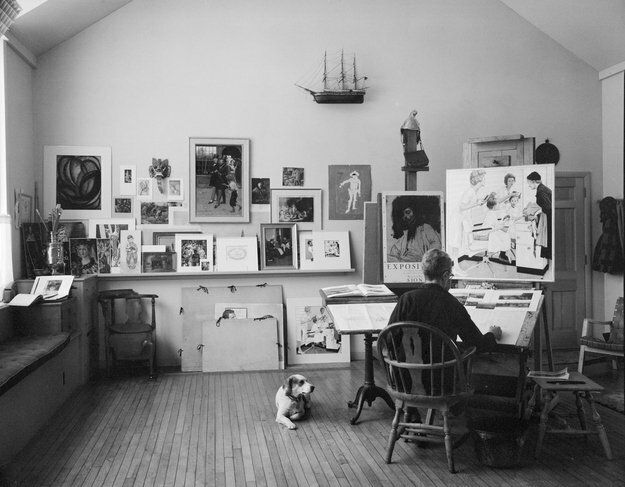 Norman Rockwell works in his studio with dog, Pitter, at his side. 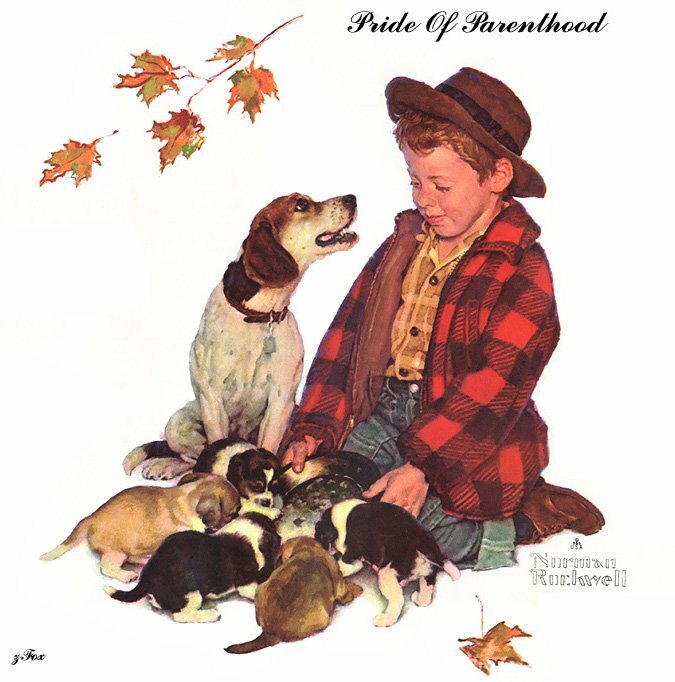 Pride of Parenthood by Norman Rockwell. 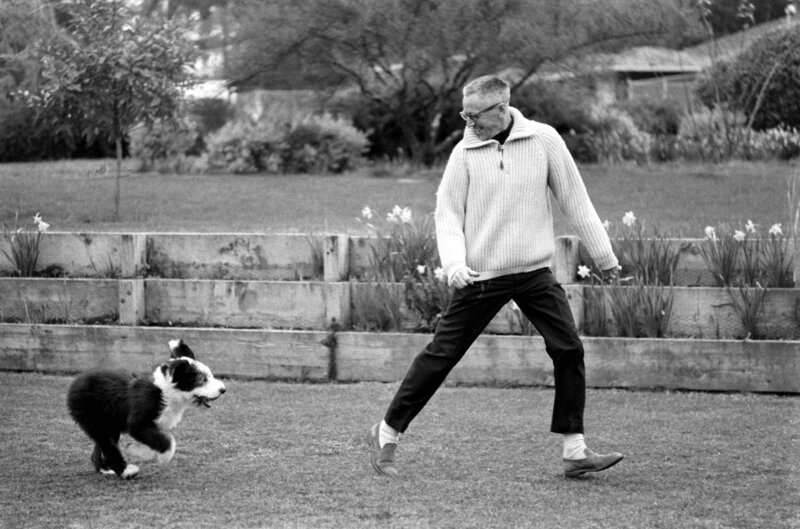 Charles Schulz with one of his five dogs. 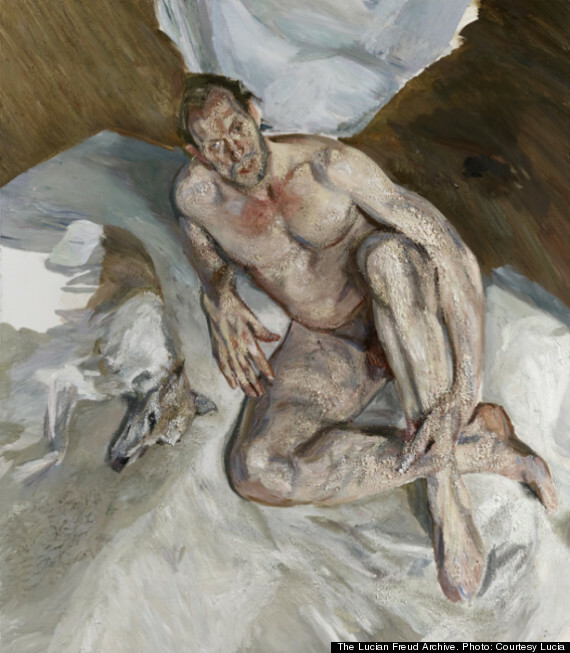 Lucian Freud with his whippet Eli. 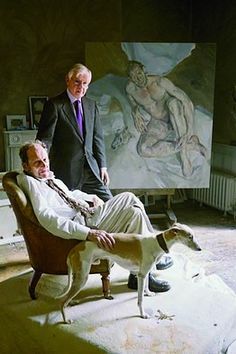 Lucian Freud’s last unfinished portrait of his assistant David Dawson and his whippet Eli called Portrait of the Hound. 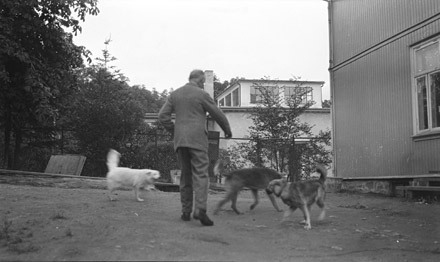 Edvard Munch with his dogs. 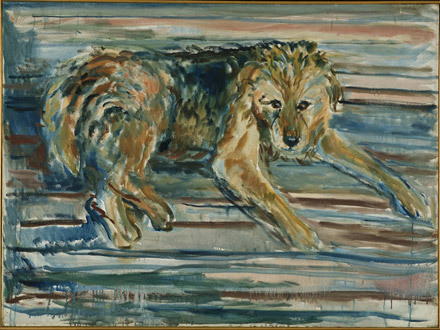 Airdale Terrier by Edvard Munch. 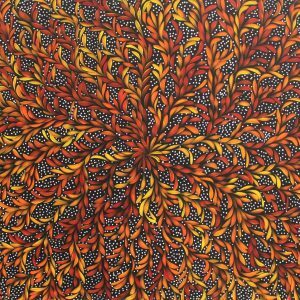 Keen for more canine craziness? 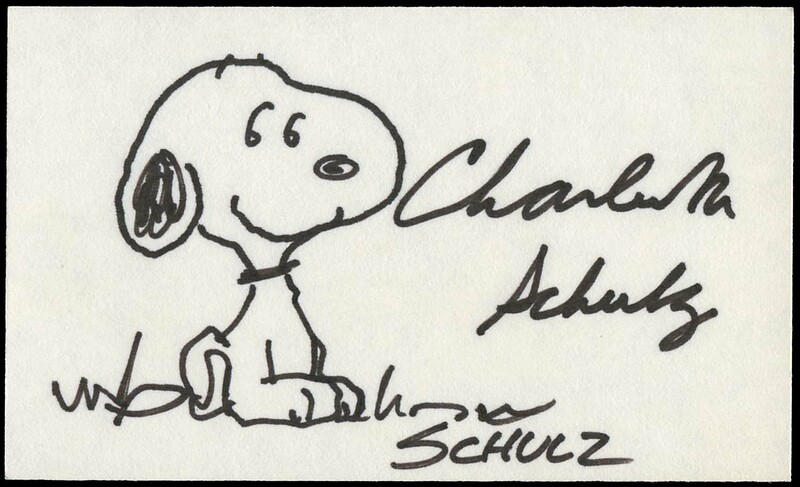 Discover more animal art in our collection here.